Pool feasibility with intermittent water? No, not yet, unfortunately! We have had some other, more pressing improvements to make. But it is still on "the List"! We are racking up barter points with a friend who has a backhoe, by letting him graze his cattle on our land in the spring and fall. When we get it done I will try to remember to post pictures. I got through episode 4 and couldn't watch any more. I was surprised that they didn't have an historical expert who was able to show them how to use a scythe correctly. Question for Scott - MH integrated with other systems? Thank you, Scott. Your time is greatly appreciated! Thanks for your reply. It usually is all about maintenance, isn't it? I like having something I can fix myself if it breaks. Although I am just beginning to learn about microhydro, I'm sure there is a simple enough system for me to be able to troubleshoot myself. We are definitely old school here...we just bought the place about 18 months ago, and the irrigation consists of an open ditch that runs along the top side of the property, with "turn-outs" or "marks" running downhill to irrigate the pasture. Our house is at the "bottom" end of the ditch. This was the set-up when we bought the property. Needless to say, changing this is on our list, but we haven't done so yet which is fortunate because we have the option of installing the most efficient pipe for our needs, once we determine what those are! As far as how much water we get...I recall that it is something like 7.5 gallons/second. And then by the end of August it is slowing down and may be about 3/4 to half that. I've never actually measured this, I think these numbers came from the ditch company that administers the ditch. The water is cut off at the end of September/early October. I am considering the benefits of digging ponds and possibly above-ground cisterns to hold the water on the property as long as possible. Could structures like these improve head pressure? Thanks for the link, Scott! 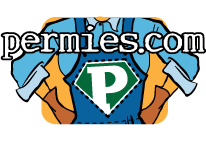 Welcome to Permies! Thank you for taking some time to answer our many questions. I'll admit I know nothing about MH. I saw on another thread that you had lived remotely with microhydro on an irrigation system. Can you tell us a little about that? What was the biggest challenge? Were the costs of setting it up daunting? I too have irrigation, that runs from about March through September/October, with about 30' of drop over a 1/4 mile. The irrigation flow slows down a bit during the last 1 or 2 months if it's dry. I am looking at options for integrating MH with solar and possibly wind to get the whole year covered for off-grid power of a home and a woodworking shop. Does your book address integration of systems at all?